We are incredibly honoured to have Perth-born UWA graduate, Ashley Arbuckle as our Music Director since 2007. 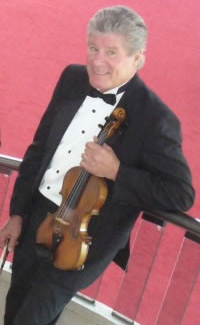 Ashley joined the West Australian Symphony Orchestra (WASO) in the mid-sixties and was appointed Associate Concertmaster in 1972. Two years later, he travelled to London, where for three years he held the position of co-leader of the Royal Philharmonic Orchestra, led the Sadlers Wells Royal Ballet Orchestra for several seasons, and performed with the BBC Welsh Symphony Orchestra and the City of London Sinfonia. In 1981, Ashley was appointed Co-leader of the London Symphony Orchestra, a position he held for ten years before returning to Perth to become Concertmaster to WASO. In 1995, Ashley performed as soloist in WASO’s Great Classics series and was featured soloist on their ABC Classics CD. In 2006 Ashley was invited to form the Scotch / PLC Chamber Orchestra, which he still conducts. Since then, he has formed his own Jazz ensemble, ‘Jazz on a String’, led the new WA Philharmonic Orchestra at the State Theatre in Sydney for Paramount Pictures Celebration of The Godfather, and joined the Czech National Orchestra for their Australian tour with Andrea Bocelli. Ashley is now the Artistic Director of the WA Philharmonic, leading them when they accompanied the Australian Ballet in their 2009 Perth performances of Swan Lake. He also plays gypsy tango with Saggezza and every weekend in the duo ARCO with Richard Price. In 2015 Ashley was recognised for his lifelong commitment to music with the award of the Order of Australia. Sarah Clare is the Musical Director of JWAYS. She is highly regarded for her experience in working with childrens’ orchestras. Sarah completed her Bachelor of Music in 2000 at The University of Western Australia. She gained first class honours in double bass performance. She then continued her double bass studies with a scholarship to The Sydney Conservatorium, undertaking the Post Graduate Diploma of Music. 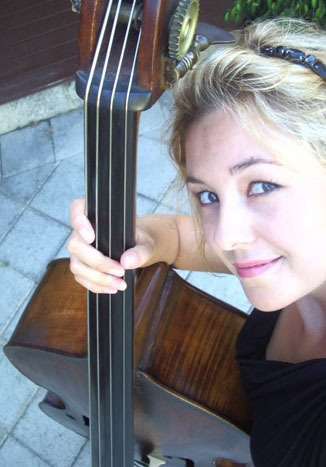 Upon moving to Sydney, Sarah held the double bass position for the Sydney Symphony Fellowship programme, and worked regularly with the Sydney Symphony Orchestra, the Tasmanian Symphony Orchestra and the Australian Opera and Ballet Orchestra. Sarah also plays double bass on a casual basis with the West Australian and Perth Symphony Orchestras. Sarah is as passionate about teaching music as she is about playing. She has a great deal of experience teaching piano and double bass, and taking school ensembles for rehearsals, tutorials and concerts.